In every generation, there is a Chosen One. She alone will stand against the vampires, the demons, and the podcasts. She is the slayer. In When We Were Young’s 12th episode, Chris shares his teenage infatuation with Buffy The Vampire Slayer. (The TV show, not the movie. Obviously.) He also brings WWWY’s very first guest host, Kevin Murray, Buffy fan extraordinaire, to help him slay the apocalyptic criticisms rising from Seth and Becky’s Hellmouths. 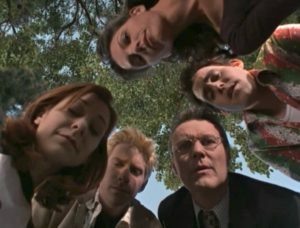 We know Joss Whedon fans still love Buffy, but how does it hold up for newbies to the Scooby gang? We look at episodes from each of the first five seasons, including standout classics like “Hush” and “The Body” and the phenomenal musical “Once More, With Feeling,” to see what made the series such a groundbreaking cult hit. 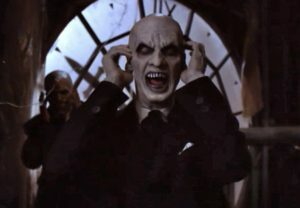 Grab your crossbow, get your vamp face on, and be prepared to die a couple of times, because we’re off to Sunnydale!